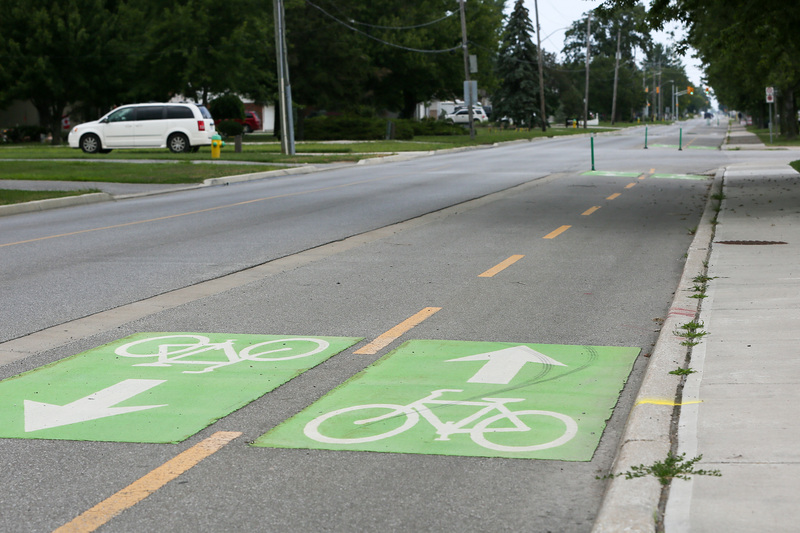 Bike Windsor Essex has a new home in the downtown core. They will soon take over the location of Snack Bar-B-Q on Chatham Street, as the popular restaurant moves to Ouellette Avenue next to Downtown Pizza company. Bike Windsor Essex had its lease terminated at their current location in the Capitol Theatre and had been forced to find a new location to set up shop. Newton says the organization followed up every lead for a new space but found downtown spaces were well beyond their budget. The came along Snack Bar-B-Q owner Mark Boscariol with the offer to move into his soon to be vacated Chatham Street space. “Mark is as passionate as we are about building a strong, resilient community that offers residents and visitors some of the amenities available in other cities — like a community space that welcomes people to learn skills, make friends and to participate in building a community we can be proud of,” says Newton. Bike Windsor Essex volunteers are organizing a ‘bucket brigade’ to move to its new digs on August 11th. To help with the unexpected expenses, the organization is running a Membership Drive to encourage people to join or renew for a chance to win a $200+ prize package. They’re also asking the public for donations of clear tote bins, milk crates and large screw in bike storage hooks. For more information on how you can help, visit their website.